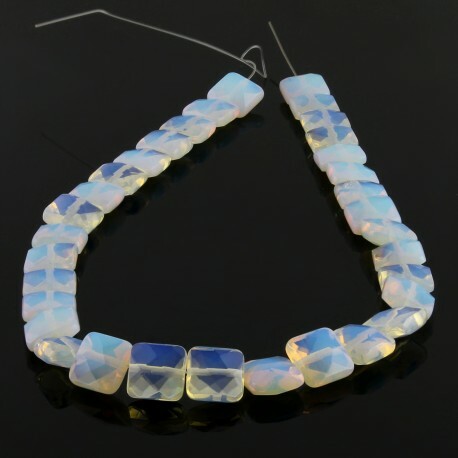 These opalite beads are worked in square format and faceted. 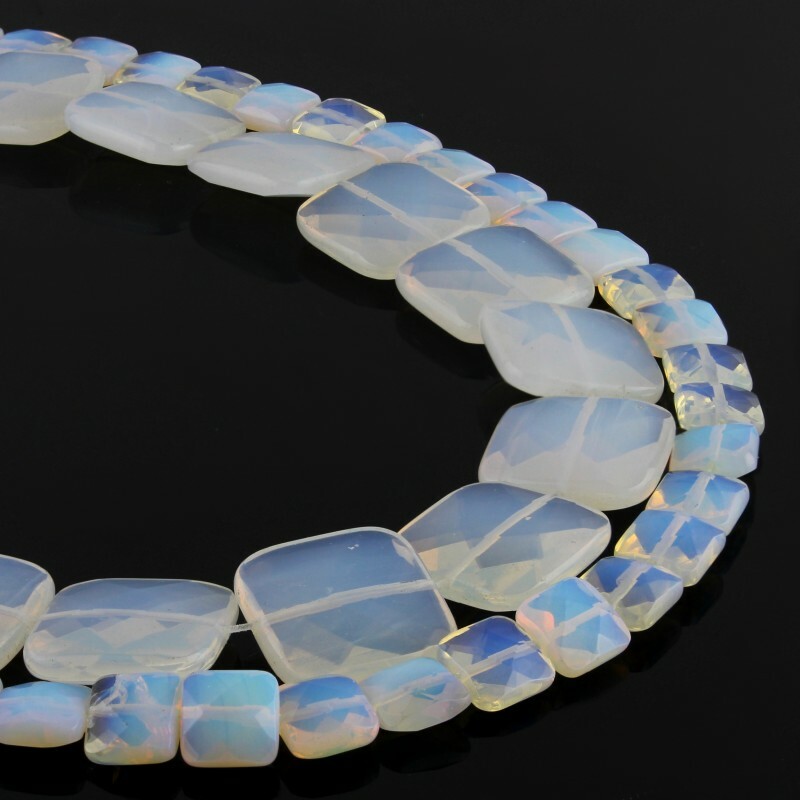 The opalite or synthetic moon stone presents iridiscent flashes. 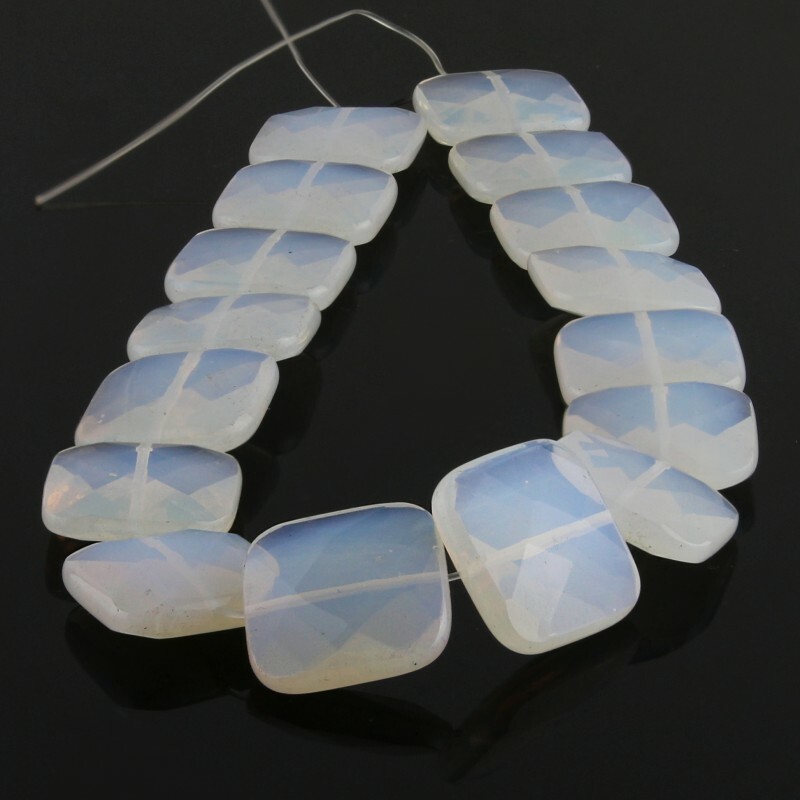 There are two available sizes: 12 x 12 x 6 mm and 25 x 25 x 8 mm. They are threaded into strands of 40 cm.